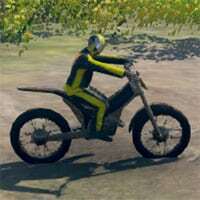 Motocross Trials is a beautiful motocross game with amazing 3D graphics and incredible physics. Take on the challenges you’ll face in each level without flipping and crashing. Prove your the best by getting 3 stars. In this game, you have to prove your skills by controlling a motocross racer in various very rough and dangerous terrains filled with ramps to make flips and other stunts. One error … and you will fall. Heavily. To prove that you are the best, you must try to get 3 stars in each level, but that is not enough: you must have the best highscore and get all the achievements. This is the only way to enter in the Hall of Fame! Enjoy playing Motocross Trials Game!